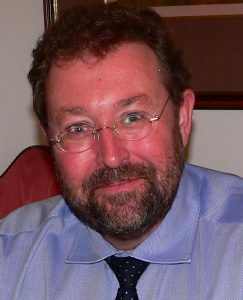 Dr Ian R Jandrell is the Chief Technical Officer (CTO) of Engenamic, and Principal Advisor/Consultant. A Senior Member of the IEEE – Institute of Electrical and Electronics Engineers [SMIEEE]. Ian is the Dean of the Faculty of Engineering and the Built Environment at the University of the Witwatersrand, where is also a Personal Professor in the School of Electrical and Information Engineering and the CBI-electric Chair of Lightning. He also previously held the Transnet Chair of Systems Engineering at the University. He holds directorships of Global Africa Projects t/a Engenamic, Innopro t/a Engenamic Innopro, Crown Publications, Wits Enterprise, Wits Incubator, Outreach Engineering NPC, PowerOptimal and the Eskom Expo for Young Scientists. Ian is a trustee of the Accenture Education Trust in South Africa. Ian has high level engineering skills and experience in strategy, management, projects, systems engineering and engineering design. He has a range of experience in forensic engineering, including as an expert consultant and expert witness. He also has engineering dispute resolution experience. His particular expertise also includes various specialist technical areas, including high voltage engineering and lightning safety & protection. Ian has a particular interest in human safety both as a forensic engineer and system designer, and in 2018 was appointed to the Sibanye-Stillwater Global Safe Production Advisory Panel as one of five international members. He has consulted to numerous local and international organisations, including international research agencies, regularly presented specialised training courses for industrial practitioners, and is an experienced speaker, presenter and trainer. Ian is an Associate Editor of the Journal of Lightning Research and a Member of the Scientific Committee of the International Conference on Lightning Protection (ICLP) and of the IEEE International Conference on High Voltage Engineering and Applications (ICHVE). Ian also has a particular strength in managing and directing specialist engineers and researchers. Ian has an NRF C-rating as a researcher and is the author or co-author of more than 100 papers in the areas of High Voltage Engineering, Earthing and Lightning Protection, Industrial EMC, and Human Factors & Safety. In 1994 Ian was named SAIEE Engineer of the Year, and in 2011 he was named as the recipient of the SAIEE’s premier award, the President’s Award. In 2018 he received the NSTF-South32 individual award for engineering research capacity development.